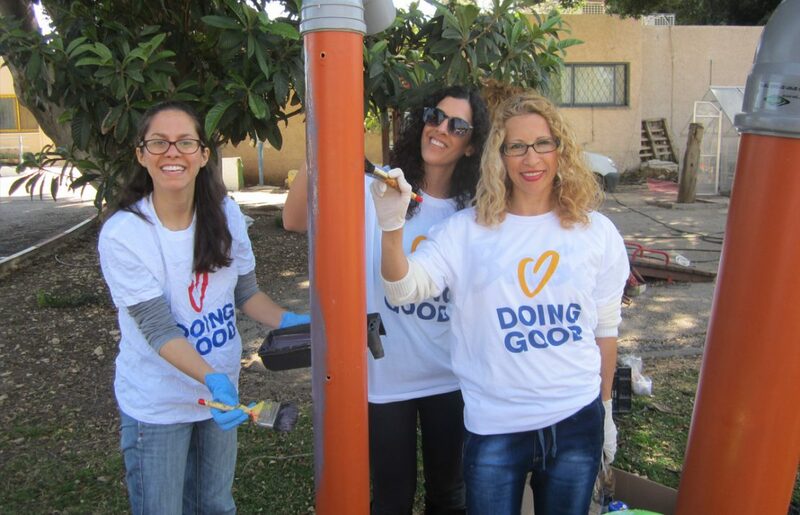 1.5 million people in 75 countries worldwide participated in this year’s Good Deeds Day. Among them, celebrities, world leaders, politicians and other A-listers came out to do good and give their heartfelt support. New York’s Mayor, Bill de Blassio, made an appearance at the 10th anniversary celebration in Harold Squaret. NYC Service, a division of the Office of the Mayor, also took part by offering an activity to the public: creating a “tip sheet” for NYC High School students getting ready to enter college. 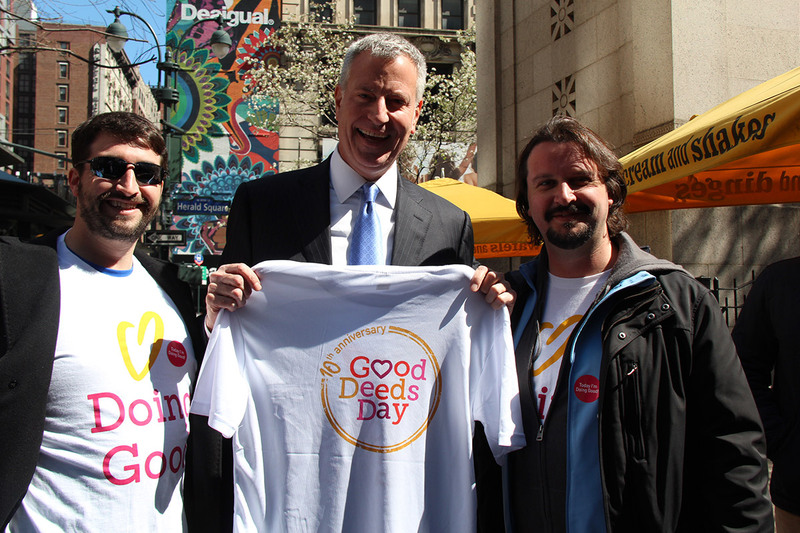 New York’s Mayor Bill de Blasio supports Good Deeds Day in Herald Square alongside David Arison, Vice President of Global Business Relations at Miya, and Jason Arison, Chairman of The Ted Arison Family Foundation. 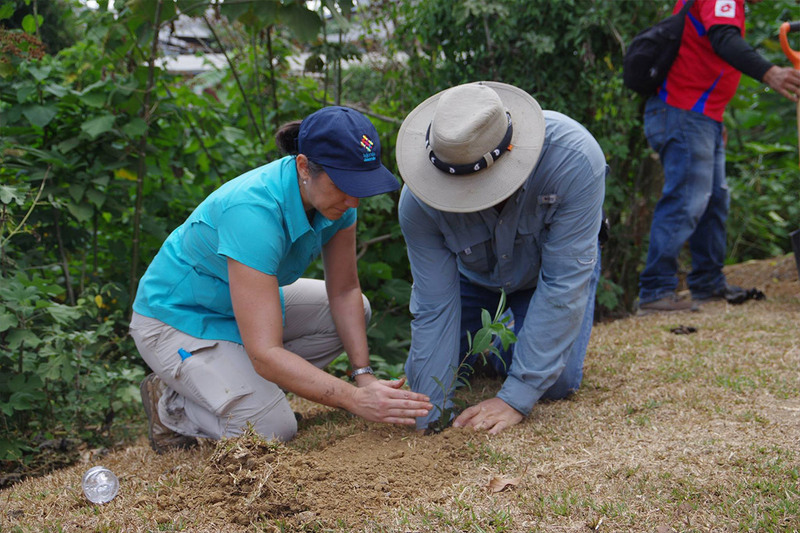 Costa Rica’s President and First Lady, Luis Guillermo Solís Rivera, and Señora Mercedes Peñas Domingo, rolled up their sleeves and got their hands dirty with planting trees and picking up litter around the Manuel María Aguilar River. We love their spirit! Costa Rica’s President, Luis Guillermo Solís Rivera, and Señora Mercedes Peñas Domingo. 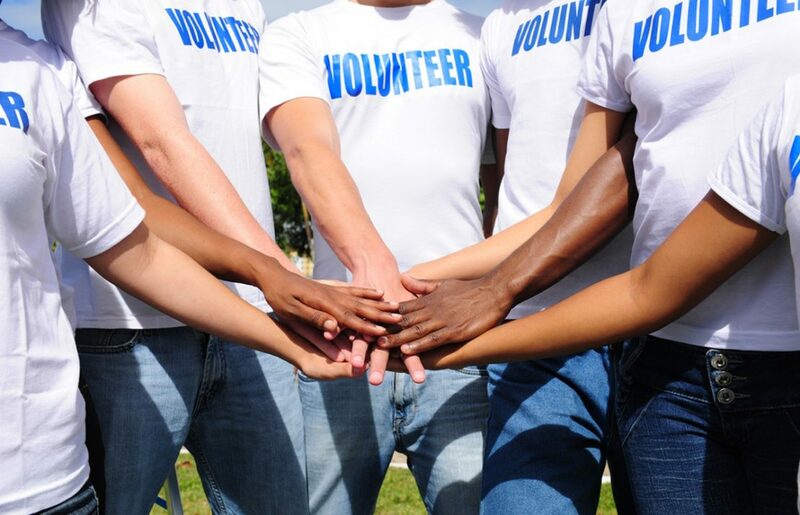 Bill Gates echoed Good Deeds Day founder Shari Arison’s encouragement to do good by retweeting her belief that every small action is a good deed. 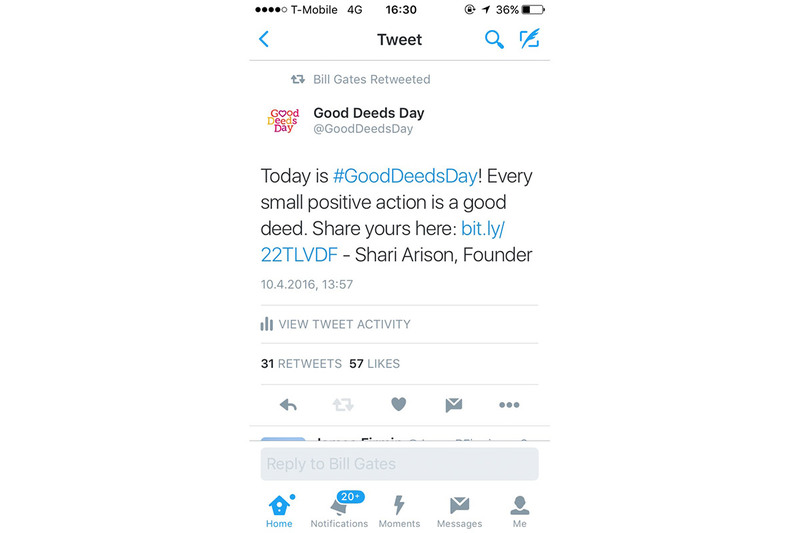 Bill Gates retweets Shari Arison’s Good Deeds Day message. 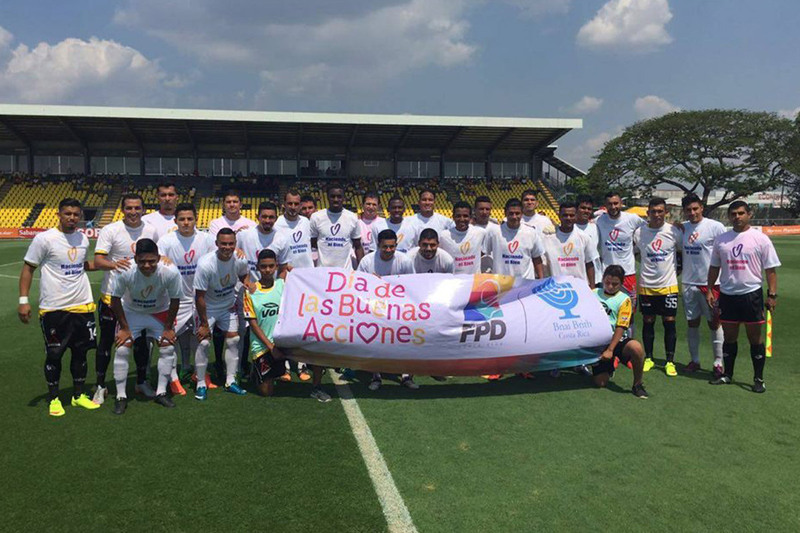 Argentinian Soccer star Gustavo Leonardo Bou helped spread the good in a video message declaring his support and participation in Good Deeds Day. 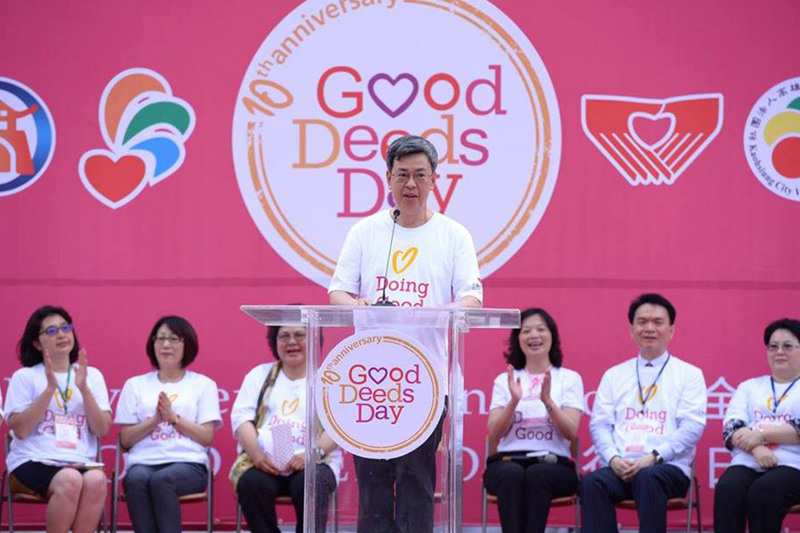 The Vice President of Taiwan gave his support at Taiwan’s Good Deeds Day ceremony, and pledged to include Good Deeds Day as a national project each year! At New York City’s celebration, Judah Friedlander, actor and comedian most notably known for his role in 30 Rock, gave a hilarious yet powerful speech to the crowd, encouraging everyone to spend more time together sans texting. 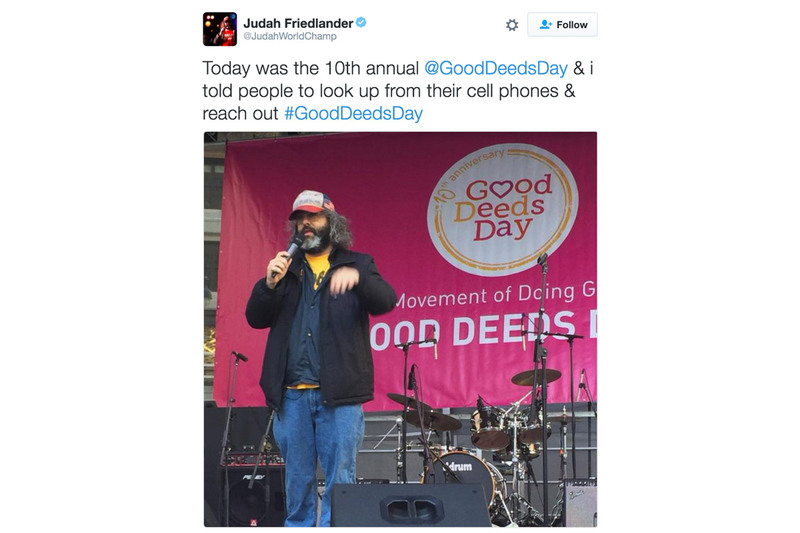 Judah Friedlander tweets his support for Good Deeds Day to his 435,000 followers. Panamanian President Juan Carlos Varel, First Lady, Lorena Castillo, and volunteers brought fun to children at risk in Curundú. 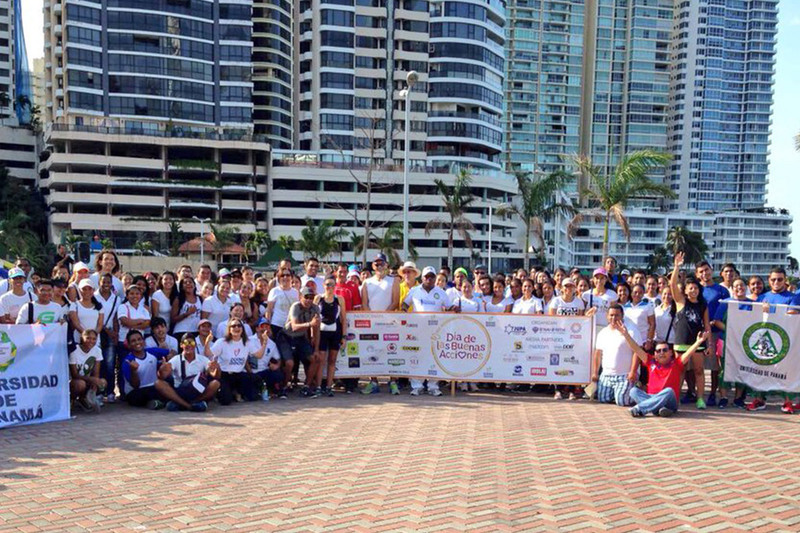 Juan Carlos Varela, President of Panama, tweets his support of Panama’s national particpation. 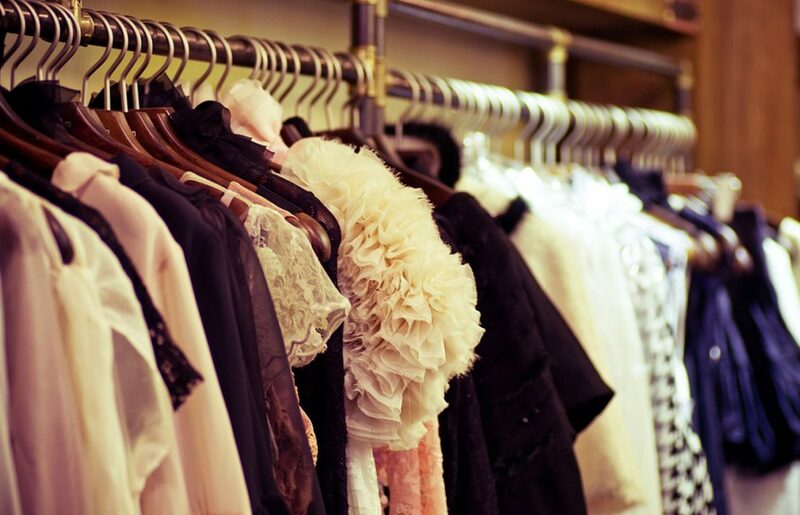 Jessica Seinfeld played a behind-the-sceens role in Good Deeds Day through her organization Good+ Foundation, a non-profit dedicated to providing essential gear, clothing and other items for children in need across the United States. On site, volunteers helped them bundle hundreds of baby clothing for families in need. 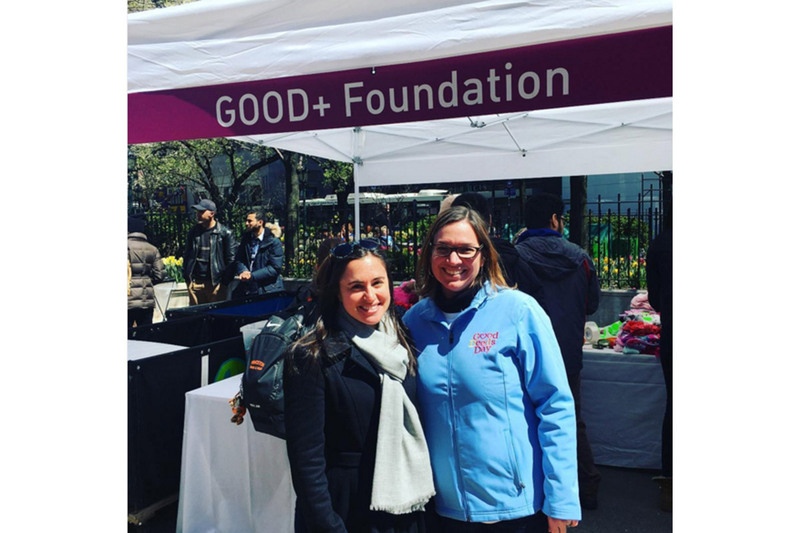 Good+ Foundation staff pose in front of their tent at the NYC Celebration. 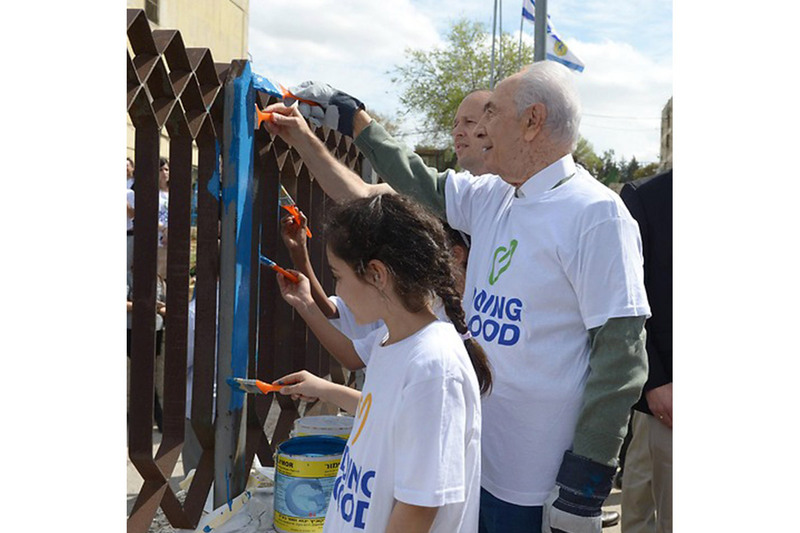 Israeli President, Shimon Peres, spent Good Deeds Day at a school for Arab and Jewish children in the city of Jaffa, Israel painting a mural with the students. 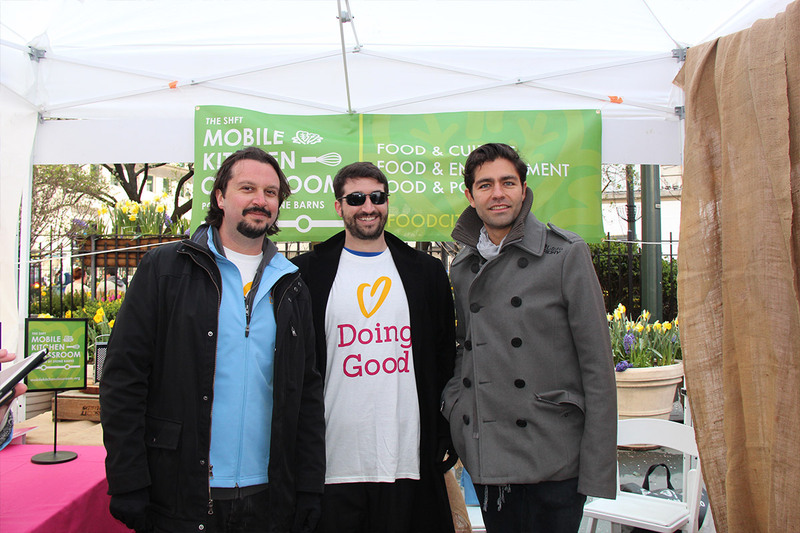 Adrian Grenier and Mobile Kitchen Classroom, the non-profit organization he partnered with to empower high school students to actively contribute to the creation of a new, healthy and sustainable food culture, challenged attendees at Good Deeds Day’s ‎NYC‬ celebration to share how they are ‪Food Citizens‬. Bonus! 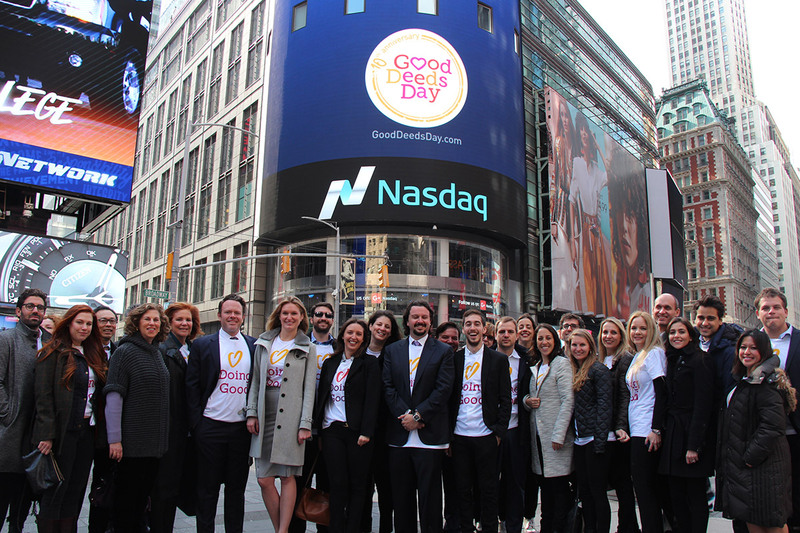 NASDAQ Stock Market helped kick off Good Deeds Day at its opening bell ceremony two days before New York City hosted the 10th anniversary celebration. Sarah Arison, President of Arison Arts Foundation, rang the Opening Bell and spoke on behalf of Good Deeds Day.